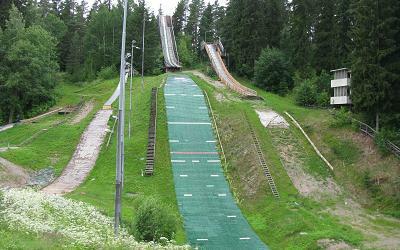 Karpalon hyppyrimäki was built as a training hill in 1938, at the northern side of the Salpausselkä ski stadium. 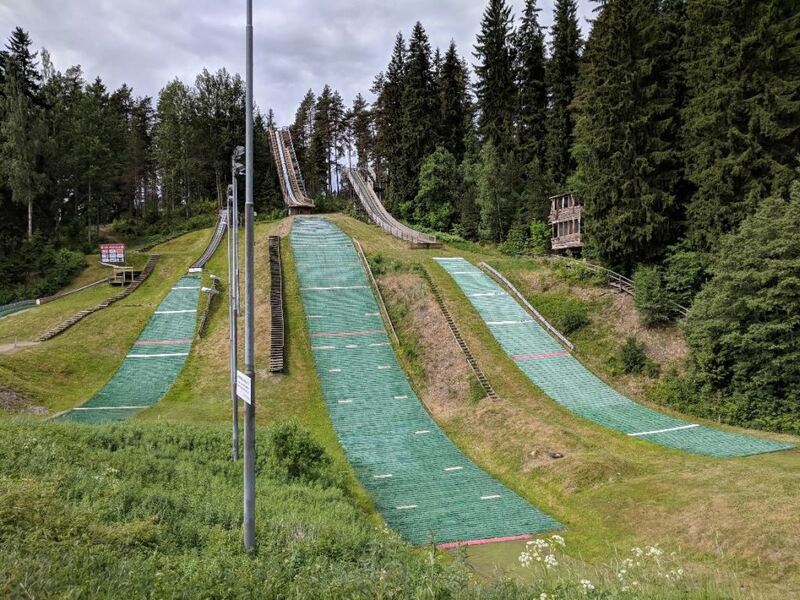 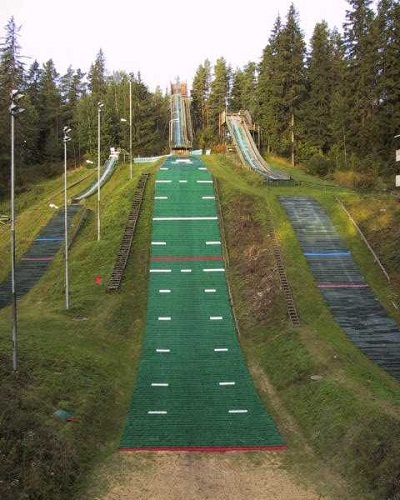 The 40 meter hill was modernized in 1948 and had been prepared as Finland's first summer ski jumping hill - the first jumps were made on September 19, 1948. 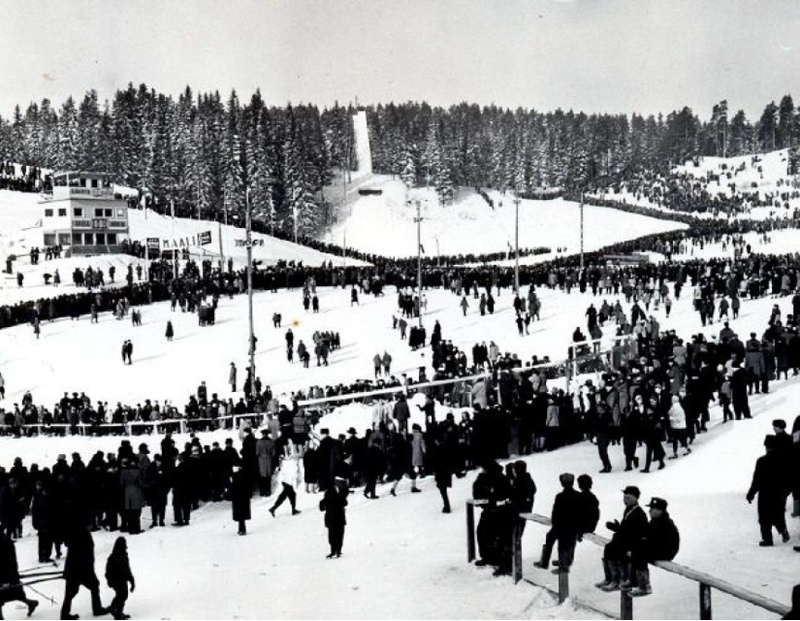 In February 1949 the hill was even hosting the ski jumping competition of the Lahti Ski Games. 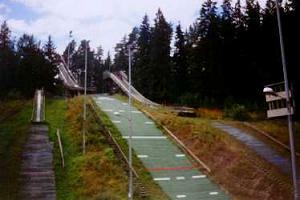 In 1967 the hill was deconstructed and replaced by 2 smaller hills with k35 and K25. 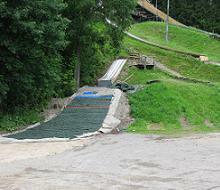 In 1991 the re-construction of the facility in today's shape as summer junior hills took place.